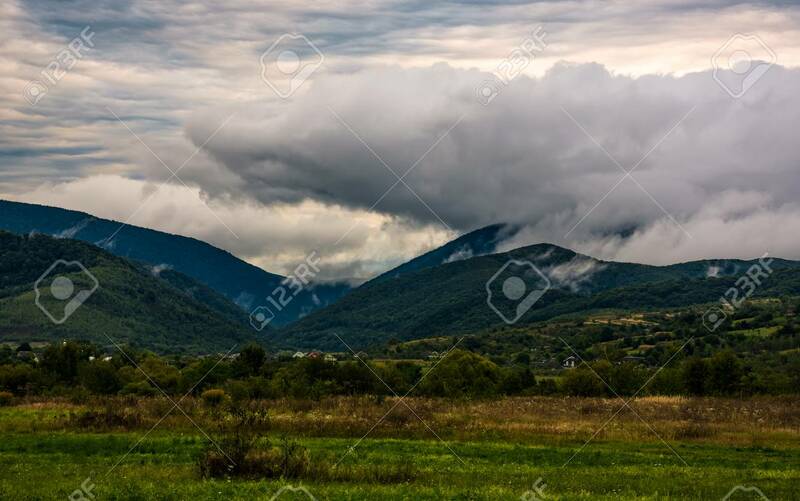 Clouds Rise In Mountains On Overcast Morning. Lovely Countryside.. Stock Photo, Picture And Royalty Free Image. Image 86261761.